Sibyl McCormac Groff — a.k.a. 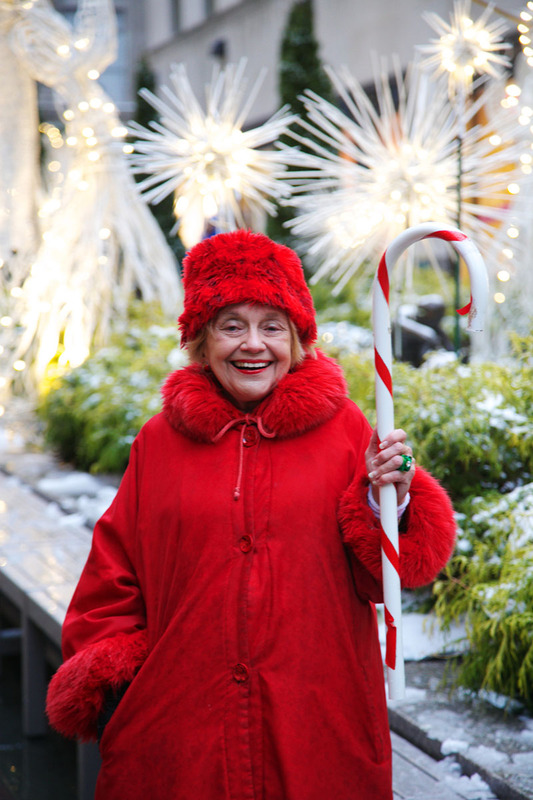 Queen Santa, The Lady in Red and The Spirited New Yorker — legendary cultural historian and tour guide of Rockefeller Center for NBC. 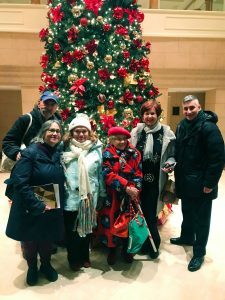 She is an experienced and highly acclaimed licensed New York City tour guide whose expertise includes the architecture, artwork and history of Rockefeller Center, midtown Manhattan and New York City. 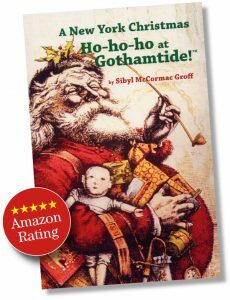 Sibyl coined the expression, Gothamtide, to describe the secular and universal holiday traditions that have historically been associated with New York City. She leads Christmas holiday walking tours from Thanksgiving through New Year’s Eve. Cover photo: Michael Vadon, December 2, Rockefeller Center, New York City.